“Our Wednesday morning start was made at 5:30 o’clock, the roads were good and a good run was promised for the day. Our way passed through the little towns of Park City and Laurel, both of which we passed through like a limited train. Some delays were caused by flooded roads on account of overflowing irrigation ditches. The country people in this part of Montana have little regard for a wheelman. Three old country women going to town held the whole road and kept their team going fast enough to prevent our passing but too slow for our usual gait. We asked for half the road and were laughed at—but we had a chance and took advantage of it by passing. The women were so surprised and astonished that they forgot about their horses, which took fright and ran off in the rough ground, giving the corps a wide berth. We reached Billings at 9:50 in the morning and stopped for rations and a few repairs. Our tin coffee pots had given out and new ones of galvanized iron were made for us; they are a little smaller and heavier and will wear better than the tin ones. THE SOLDIER WHEELMEN. They Arrive in Billings on Their Way to St. Louis -- Lieut. James A. Moss of Fort Missoula, accompanied by Surgeon Kennedy, Official Reporter E.H. Boos of the Missoulian and twenty colored soldiers arrived in Billings Wednesday forenoon on their bicycle march to St. Louis. They were 421 miles out on their trip on reaching this city and since leaving Helena have averaged sixty miles a day. 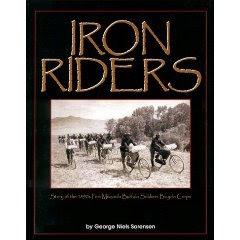 The party left Fort Missoula on the morning of June 14 and has been marching ever since, its intention being to go to St. Louis and make the trip in six weeks , and then make a return trip, the purpose of which is to demonstrate the utility of the bicycle in practical warfare. Nothing daunted by the reverses of the weather that have been suffered thus far, Lieut. 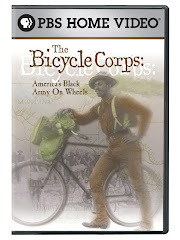 Moss believes that the trip will show that under ordinarily good conditions the bicycle corps of the army can do better traveling than cavalry over any ordinary country. 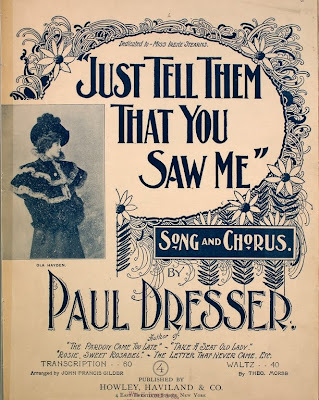 The purpose of the trip, which is sanctioned by the war department and is being watched with a great deal of interest by the high officials at Washington, is to demonstrate beyond doubt by a long march that Lieut. Moss’ theory is correct. He has himself been for a long time an enthusiastic wheelman and has made many excursions awheel, but this is his first long journey on a bicycle with a company of men. The soldiers carry their arms and camp equipment, the weight of which is divided so that it does not average more than sixty pounds to the man. The bicycles were especially constructed for the trip under the direction of Lieut. Moss and are provided with a leather knapsack that will carry two days’ rations and a large tin cylinder used to make coffee in and as a storing receptacle. The former is built between the wheels and the latter attached in front of the handle bars. Most of the party left Billings in the forenoon, but several of them remained until about 4 o’clock to have their wheels repaired by George Soule. A two days’ supply of rations was purchased here and the long march was resumed over the line of the Burlington. The men appear to be well satisfied with the trip and Lieut. Moss is confident that it will demonstrate the practicability of the bicycle in the regular army. About 8 o’clock the bark of a dog indicated that we were not the only human beings in these dreary, lonely, God-forsaken hills. Fifteen minutes later we forded Pryor Creek, and soon reached a deserted Indian cabin. As we approached the place we saw two white men sitting near a small fire in a partially-constructed log shed. One was middle-aged, while the other, with long, gray beard and flowing locks, had reached the ripe age of 65 or more. As he knelt near the fire cooking, with the smoke encircling him, he and his partner, ignorant of our approach, presented a weird picture. Going to where they were, we found the old man to be one of the old-timers,” who are now fast passing away. He and his friend were out prospecting, and had taken shelter in the shed for the night. They informed us that an Indian who lived in a tepee, a mile or so away, owned the shed and the shack, and had given them permission to use the former, whereupon we decided to use the latter, and explain matters to the Indian in the morning, should he make his appearance. The corps had gotten strung out a mile or more in the mud, and a couple of shots way off in the woods indicated that some of the men were lost; for it was now as dark as Egypt’s night. One of our party answered the shots at once, and within fifteen minutes all were present. “On June 23rd, by 9.55 A.M., the Bicycle Corps had arrived at Billings, Mont., having already traveled 37 miles that day.